Directions: From Portland take US route 1 to the towns of New Castle and Damariscotta. Turn right on to state route 129 then bear left on to state route 130. 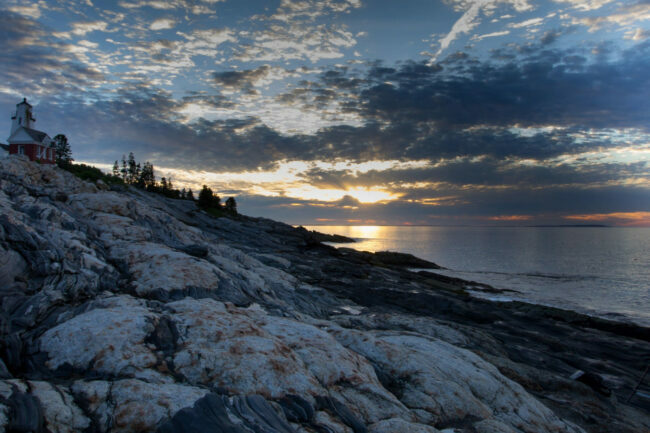 Take Sate route 130 to the town of New Harbor, ME. Bear right at the New Harbor ice cream stand and follow Bristol Road all the way to end and you will see the light house park! Park your car and explore the park! Also venture onto other roads, there are great opportunities all over the area so be sure to explore! After visiting Pemaquid Point Light every year the summer when I finally received a quality camera I knew amazing photos would be coming. 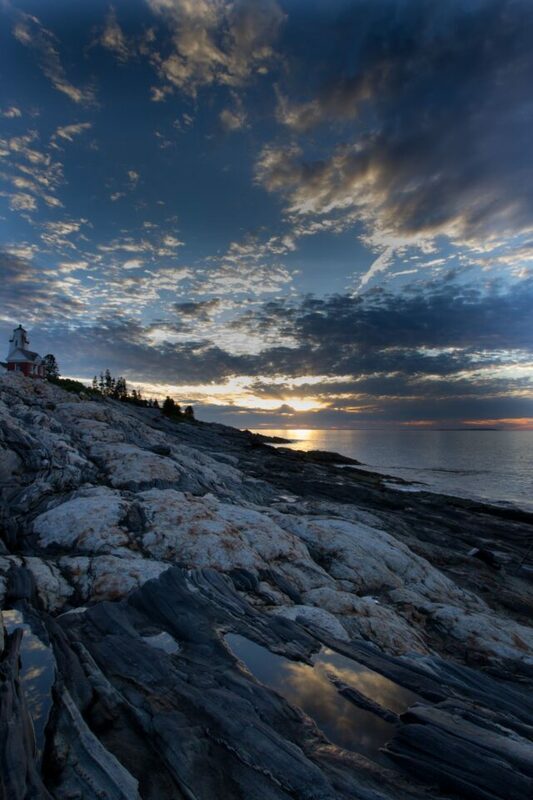 Sunrise is one of the best times to take photos in this location because it adds a dramatic background to the rocks and light house in the foreground. To get sunrise photos you have to get up rather early because summer sunrises are around 5am. All seasons would be good for this location as it just changes the overall feel whether there is green grass or a coating of snow. If venturing out onto the rocks infront of the lighthouse be very cautious of slippery rocks because you won’t know is a rock is actually slippery until it’s to late!